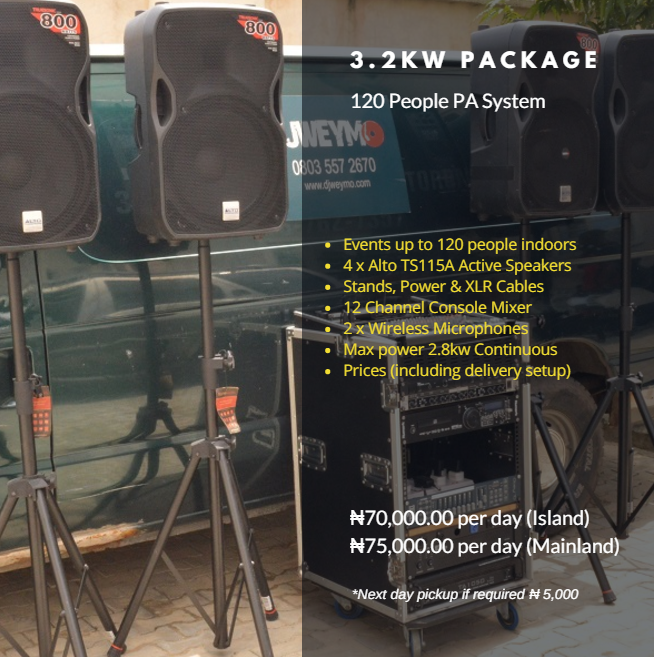 DJWeymo Professional Sound System is a reliable DJ service for hire and entertainment outfit that offers professional mobile disco services in Lagos, Nigeria. 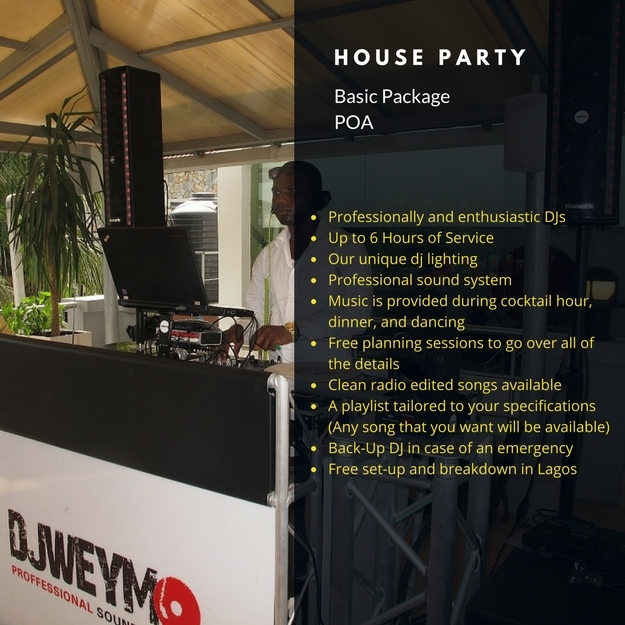 As mobile djs djweymo can cater to almost any type of event, while offering a totally professional mobile disco and or DJ Entertainment package to suit all budgets. 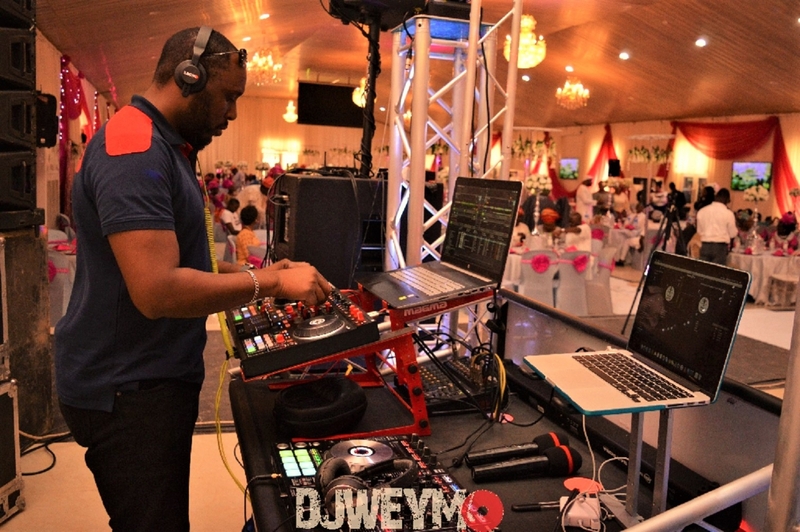 We are available to dj at weddings, in Lagos. 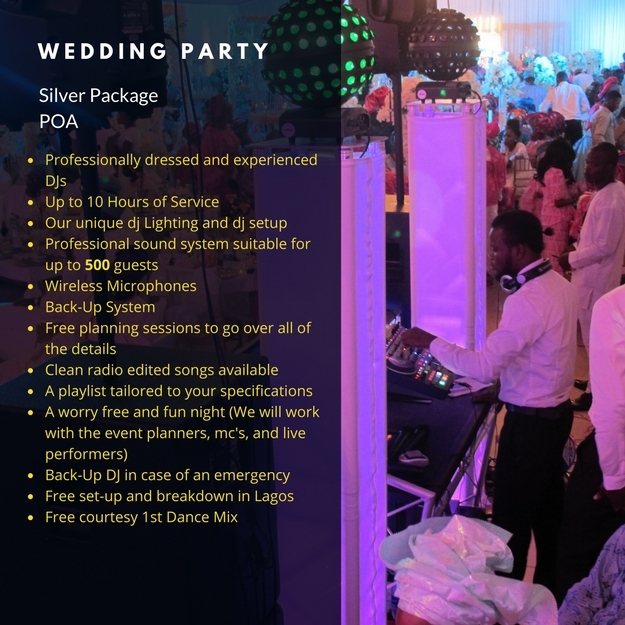 Our wedding package consists of a fantastic selection of music, great sounding PA sound systems, microphones, and disco light fixtures. We are now available to hire for weddings, parties, and celebrations. 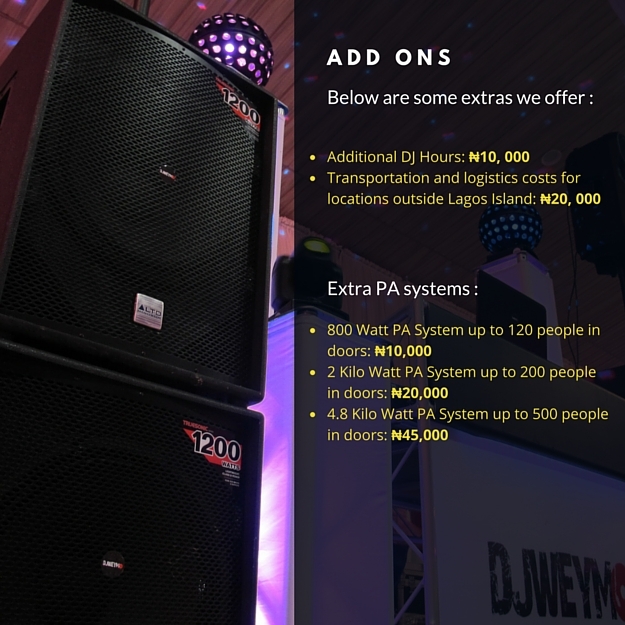 We have a fantastic selection of music, great sounding sound systems, and disco lightings. We play the best sounds from the 70′s 80′s 90′s 00′s & beyond, specialising in Afropop, Hip Hop, Funk, Reggae, Soul, RnB, Disco, House, and Dance club classics. 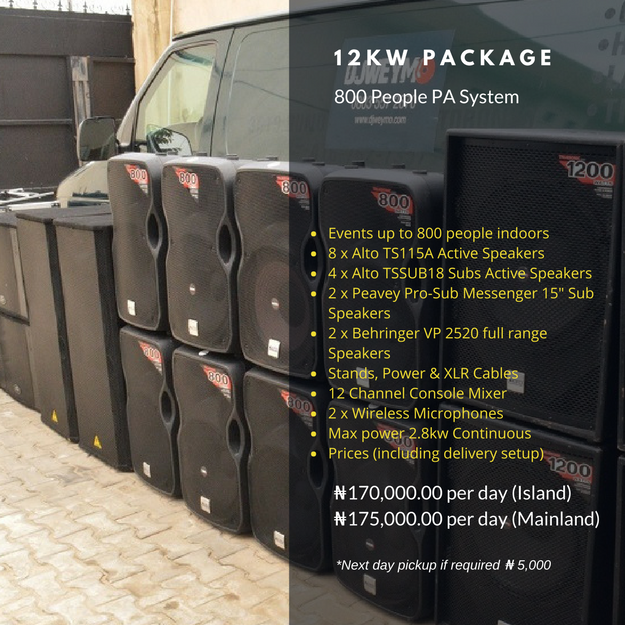 We have on offer a range of PA speakers for hire...We can also provide you with everything you need for party suitable for large scale indoor and outdoor events. 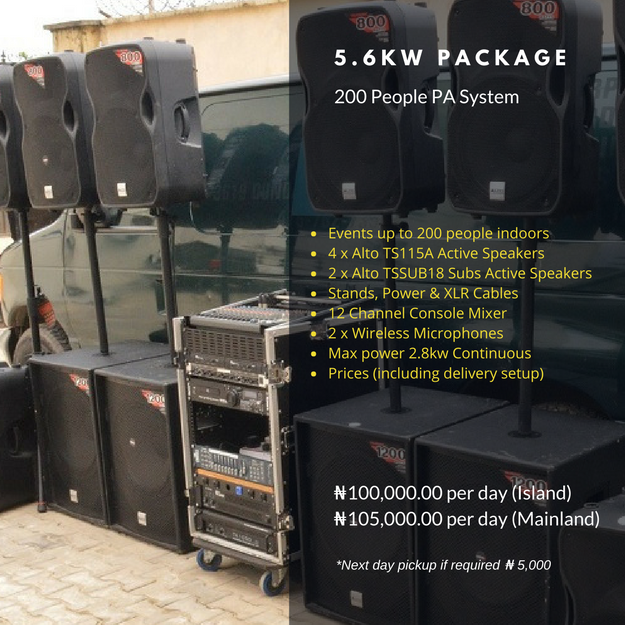 Our PA systems are supplied on a 'wet' hire basis. With a wet hire, an engineer is included for the duration of the event. 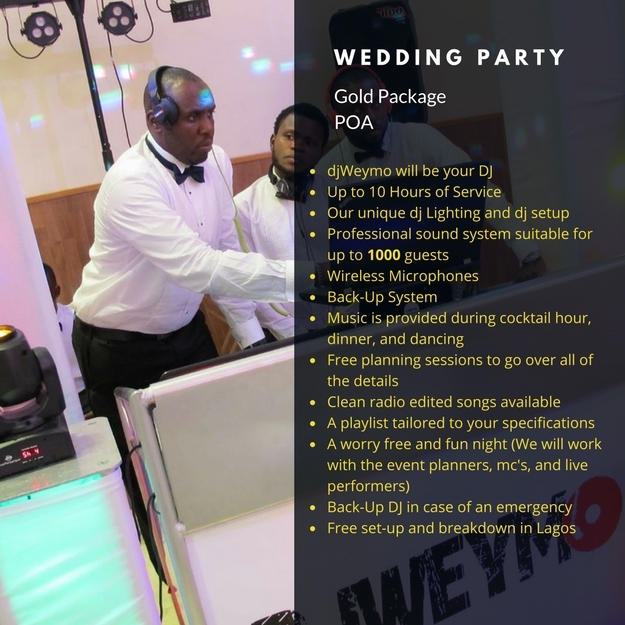 To book us for your wedding or event either whatsapp or call us on +2348035572670 today!